Spooked Markets: Is This the Correction? Here is an article that posted on www.horsesmouth.com today. One advantage technical analysis has over fundamental analysis is that it should take the emotion out of investment decisions. Graphs and charts don’t lie, they are what they are. And what they are now is pretty darn ugly. 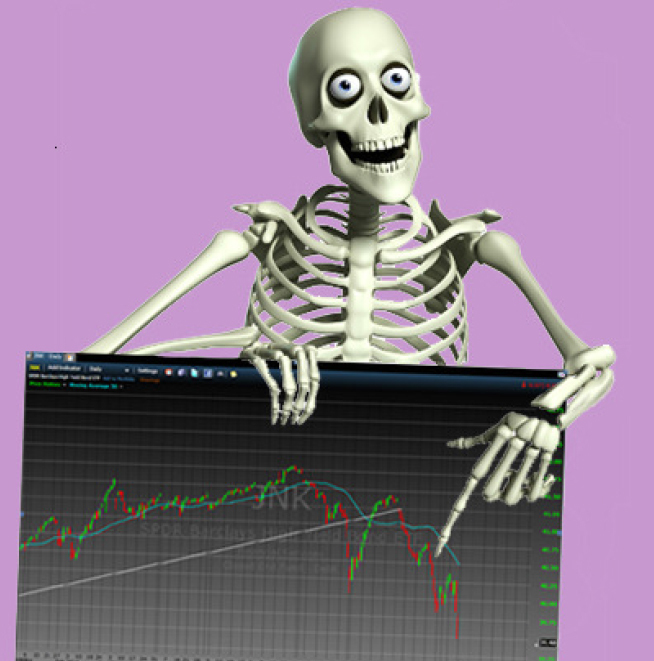 For a full review read the entire article can be downloaded: Spooked Markets. The short summary is that we have been selling our more aggressive holdings for a month now. We will be moving all 401(k)’s 50% into a cash position, raising another 20% cash in our Growth” strategy and will likely look to hedge our Dividend strategies with a “short” ETF.